God has done a great work across Australia. We asked you to pray, and it is exciting to report that tens of thousands of people came out to hear about God’s love and the Good News of salvation through Jesus Christ. All through that continent, we witnessed the power of the Gospel, and we thank God for transforming hearts and lives at every event, in all six cities, over the course of three weeks. To Him be the glory! We next went to Darwin, a smaller city in the Northern Territory just across the Timor Sea from Indonesia. It’s a tough place—very hot with swamps, crocodiles and a culture of alcohol use and abuse. Darwin’s Convention Centre arena, which seats 3,000, was jammed and extra chairs had to be brought in! The owner said they had never in their history had a crowd that large for an alcohol-free event. We praise God that 346 people came forward in response to the invitation to repent of their sins and put their faith and trust in Jesus Christ. In a radius of 200 miles around the city of Darwin, only about 2,000 people attend church. Can you imagine the impact that this number of new believers can have on the area’s churches? Pray for each new follower of Christ and for the churches as they follow up. On our third stop, the crowd packed the Melbourne Arena to capacity. 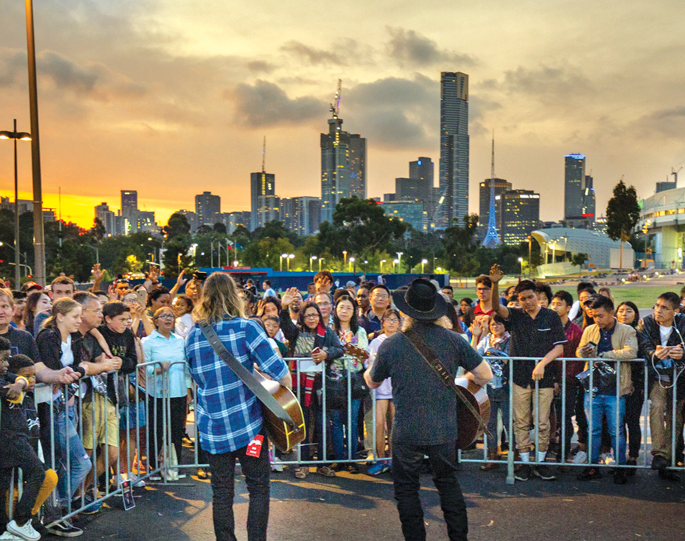 When arena authorities wouldn’t let any more people in, Steve Grace, and Australian Christian musician who took part in our tour, went outside and performed an impromptu concert and ministered to the overflow audience. In Brisbane, thousands gathered at Riverstage, an open-air amphitheatre on the grounds of the beautiful City Botanic Gardens. The seating area filled up and many sat on blankets on the hillside to hear the music and the message. Twyla and Priscilla, two college friends, learned about the event from a pop-up ad on Facebook. They were looking for something to do and thought, why not? As they listened to the Gospel, God began to stir deep within. At the invitation, both surrendered their lives to Jesus Christ as Saviour and Lord. Some believers in the crowd danced for joy as they watched the hundreds streaming forward to make decisions for Christ. In Adelaide, the fifth stop, the crowd was more than Titanium Security Arena could handle. 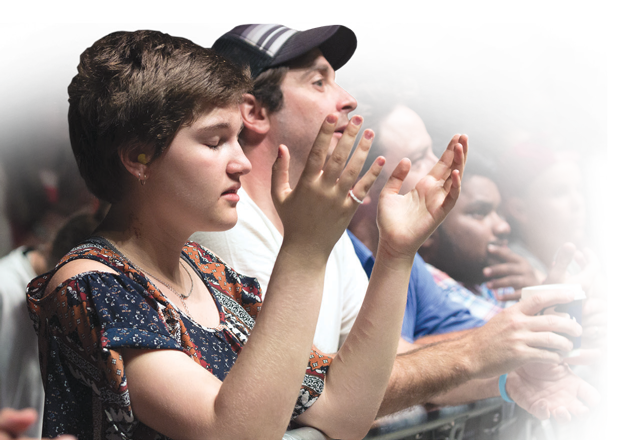 Many responded to the Gospel—including some of those who couldn’t get in and watched on a large TV screen outside. A mother named Finda had believed in God for a while and, in the last year, even started taking her boys to church. On this night, though, she felt God inviting her into a personal relationship with Him. “It was time to ask God for forgiveness,” she said later, adding with a big smile, “I feel lighter.” Her 10-year-old son also responded to the invitation to accept Christ. Many Christian believers I met in Australia had become discouraged because of the secularism they see spreading in their communities along with various threats to religious freedom. Many had just given up—why fight? So many in Australia and around the world, including America and the UK, still need Jesus. Time is short—the Lord is returning soon. “We must work… while it is day; night is coming, when no one can work” (John 9:4, ESV). 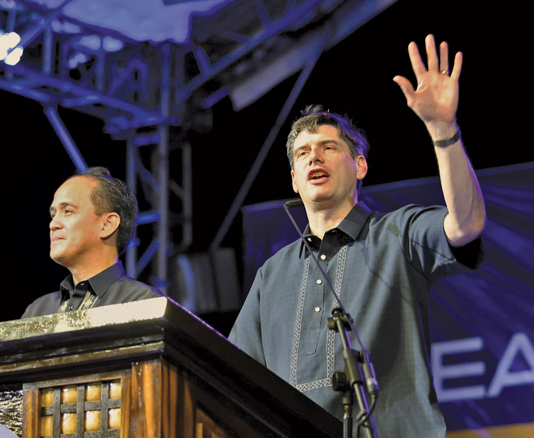 While I was preaching in Australia, my son Will Graham was leading a series of evangelistic events in and around Manila, the capital of the Philippines. More than 1,600 area churches worked together to bring as many unsaved people as possible to hear the Gospel during that regionwide outreach, and God did a mighty work in hearts. 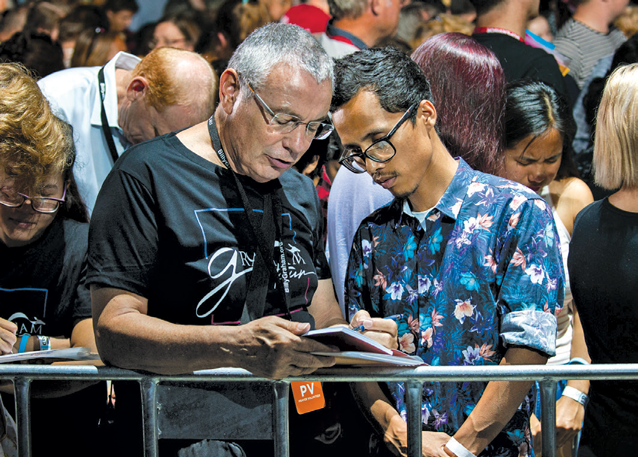 Tens of thousands have attended, and we thank and praise God for the large number of people who responded to the Gospel, turning to Jesus Christ as their Saviour and Lord. Pray for me as we go at Easter to a city called Cúcuta, on the Venezuelan border, in Colombia, South America. The churches there are so excited that we are coming! This is an area where many Venezuelans are seeking hope but face violence, threats and corruption—so much has changed in that part of the world. But we must continue to represent the King of kings and the Lord of lords wherever He sends us, and I will preach the Gospel truth just as I did in Australia. We will be sharing an Easter message with people there—that God loves them and sacrificed His Son for them, and that He now stands with arms wide open inviting the lost to come to Him in repentance. We are grateful for your support. Without the prayers and financial help of friends like you, we could not do the work God has called us to do. You are generous and faithful, and I thank God for all you do as you serve Him. God works through people like you to change the world by the power of the Gospel. PRAY: Will you pray for new believers in Australia and the Philippines, and for the upcoming Festival of Hope in Cúcuta, Colombia? SHARE THE GOSPEL: People look everywhere for hope. 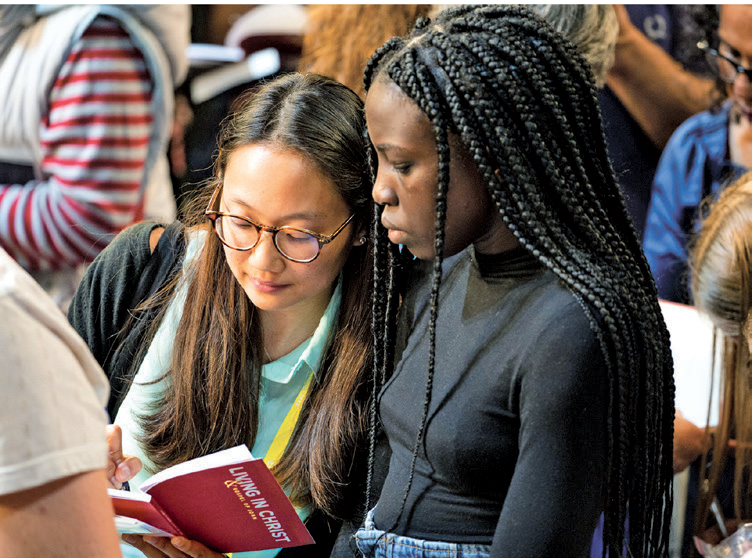 God can use your prayers and gifts to bring real and lasting hope to searching hearts as we proclaim the life-changing power of the Gospel at evangelistic Crusade events on five continents in 2019. 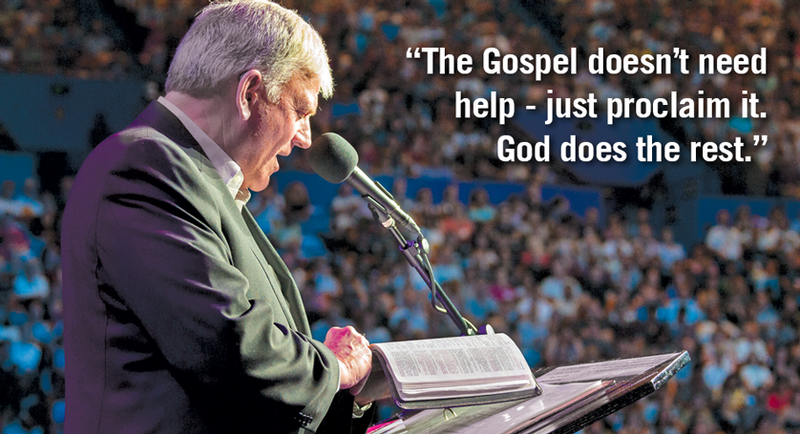 HELP WHERE MOST NEEDED: The Gospel changes lives—now and for eternity. When you designate a gift for “Where Most Needed”, it is available for immediate ministry opportunities and needs, including personnel, resources, materials, equipment and support services vital to carrying out our work of sharing the Gospel around the world.